Ever since Google announced the new Nearby technology, we have been itching to try it out. We even did a talk about it. If you haven't heard about it, it's a simple way of finding other mobile phones near yours, and sharing information with them, across Android and iOS. It uses a mix of technologies to achieve that, like WiFi, Bluetooth and even sound. 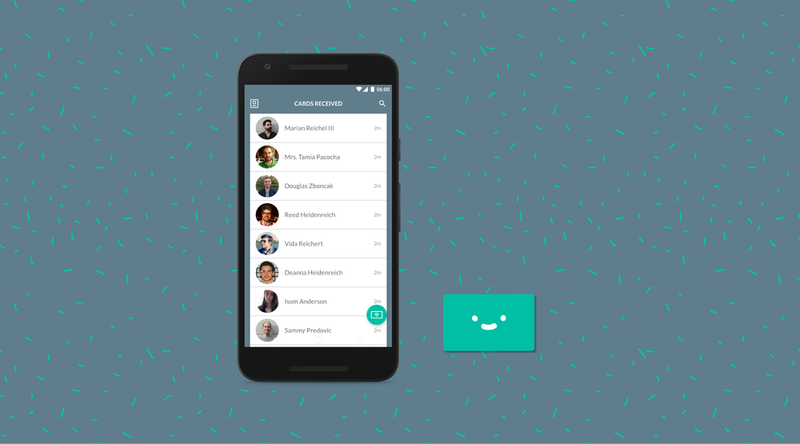 So we came up with the concept for Card Case, an app to simplify contact exchange. You just need to be nearby, with the app open. No need to create any account, ask for an username or send an email. By pressing the exchange button, business cards are automatically shared between 2 or more people around. The application was released in May 2016. We used playful illustrations and animations to guide the user through the features. And we tested the usability of the application, to validate if regular users could use it, which we wrote about in a blog post.